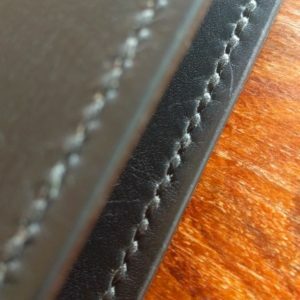 These Leather Moleskine Classic Notebook Covers are one of my favorite things to make. The Moleskine notebook is an absolute stone cold classic, having been reborn in 1997 to continue the heritage of creative people such as Vincent van Gogh, Ernest Hemingway and Pablo Picasso. These covers can be customised with a pen holder, clasp, card holder and are available in several different colours. Hand cut, hand stitched, hand finished. Hand made in England. Worldwide delivery.